Attention readers! If you haven’t come across this monstrosity in the “world wild web”, don’t be alarmed. It’s not a car that you’d be racing from Mars to Sirius with. It’s the new Lamborghini launched just too 40 hours ago, and it’s already CONTROVERSIAL ! Being a 90’s kid, I’ve seen the births of many Lamborghinis right from the Gallardo and all it’s variants right up to the latest LP570-4, to the Murcielagos and its variants after the first LP640-4 was launched, the Reventon, Aventador, the Aventador J, the Urus etc etc. I remember a week before my 12th birthday I first read an article about “Lamborghini to hit Indian Shores” in the local newspapers and have followed the release of these bulls into our already chaotic land right from the start. Yes, at the risk of sounding a complete lunatic, it’s safe to say that I play Lamborghinis quite close to my chest. And in my last 9 years of lunacy, i must say that this must be the first time I didn’t wave my Muleta (the red cape used by the Matador) frantically to welcome this new bull in my life. 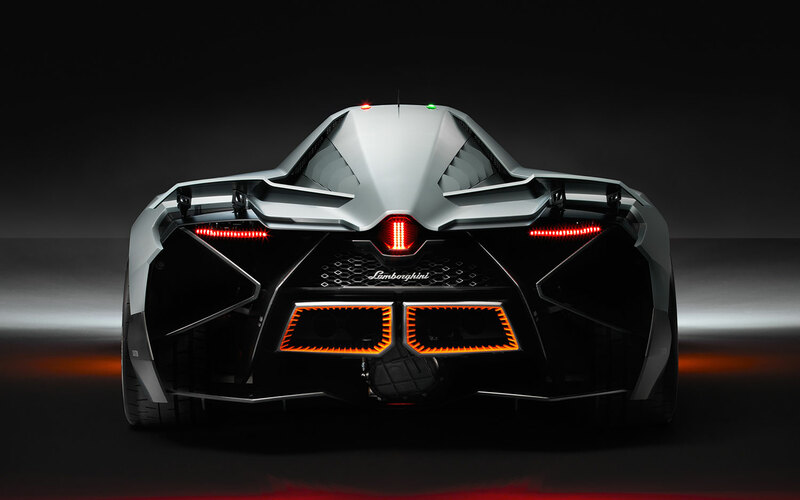 So I believe there’s a need to clear some tension that’s surrounding this new Lamborghini Egoista because there’s a lot of negative comments lingering around this car and its not much appreciated. Some say they’ve gone too far with the “extremism” philosophy that Lamborghini is well known for. Others say that maybe the heavy aerospace influence has finally got the best of them and that they’ve taken the aerodynamic theory of “cutting through the air” a bit TOO seriously if you look at the front of it. Others are seriously considering handing the lambo designers a set of “French curves” stencils to go easy on the angular cuts that makes you bleed just when you look at them. But if you were born in the 70’s, then all of this would come to you as a sort of déjà vú, because these were probably the exact same reactions the public gave when the Lamborghini Countach was unveiled back in 1974. History indeed repeats itself. Lets take a step back and first try to understand the technicalities involved with this machine. Designed by Walter De Silva, the design inspiration was taken from an Apache helicopter. Lambo’s nomenclature department decided not to sacrifice another bull and its lineage to name their new car. They instead referred to the Italian dictionary. The word “Egoista” means selfish and it stands true to its word, as it is a single seater cockpit. A brief yet important transition in Lamborghini legacy to replace the already mental scissor doors with a floating canopy. The cockpit is centrally placed and in order to get in it, you need to tenderly place your feet on the appropriate markings and then twist and turn and fold yourself before you see an orange adorned monocell. And the complication doesn’t end there. Lamborghini have placed only the bare requirements in the little space that you need to detach the steering wheel from its steering column, like that of a formula 1 car, to even fit inside it. Powered by the Gallardo’s 5.7L V10 engine, and no other details of the powertrain, one can only pray for mercy. Four projector lamps hidden well within the crevasse of the front slits, some sort of wacky warning lights on the roof, a bare naked rare to reveal the mammoth firepower that has more room now that the passenger is kicked out of the picture. Rumour also has it that the Egoista when viewed from the 3/4th isometric view, seems like a bull poised with its horns low towards the ground. Everything about this car re-defines “FUTURISM”. The most stand out technology that you’ll notice once you’re in is the heads-up display. 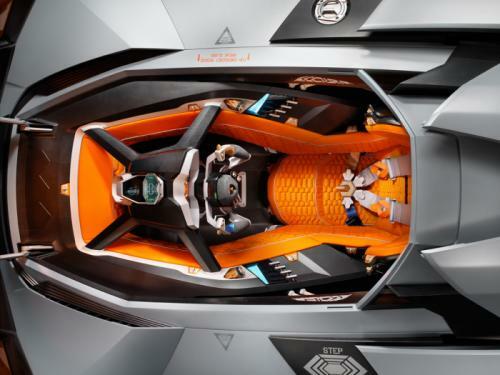 Lamborghini is so inclined towards fighting with the apaches that the orange tinted cockpit is made up of anti-radar material. Even the orange paint on those not so conventional Lambo wheels are of anti radiation material. What ever that means. Centralized cockpit of the Egoista. All of this still sounds maddening and thoughts occur that this is how Lamborghinis should continue to exist and that it shouldn’t be adulterated with the sophistication of those German owners. I still look at the pictures again and again but I’m still only half convinced. 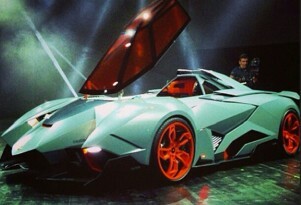 I mean, orange wheels and canopies..Seriously, Lamborghini? Last night I was restless and my thoughts were a turbulent one as I was still not able to adjust to this new philosophy, and it was somewhere at 0300 hours while reading about Horacio Pagani that I found my answers. 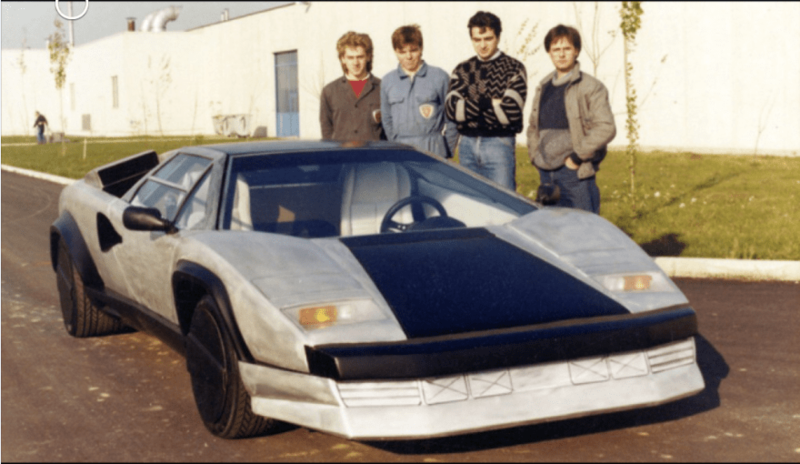 It was Pagani’s last few years at Lamborghini and some hidden pictures of his concept on the Lamborghini Countach (to celebrate the 25th anniversary) in which I found solace. To make you understand, you really need to place yourself in the shoes of the current Lamborghini team. It isn’t a car that is meant to be sold, taken that there will be a lot of buyers, but that isn’t the point. It REALLY is the setting in which the car was unveiled that really gives us the answers. They didn’t choose to unveil it in any of the international motor shows or even reveal a single hint of this machine. On the LAST DAY OF the epic 4 day celebration of lamborghini’s 50th anniversary, they chose to reveal it to the world in the comfort of their own home, Sant’ Agata Bolognese, Italy. 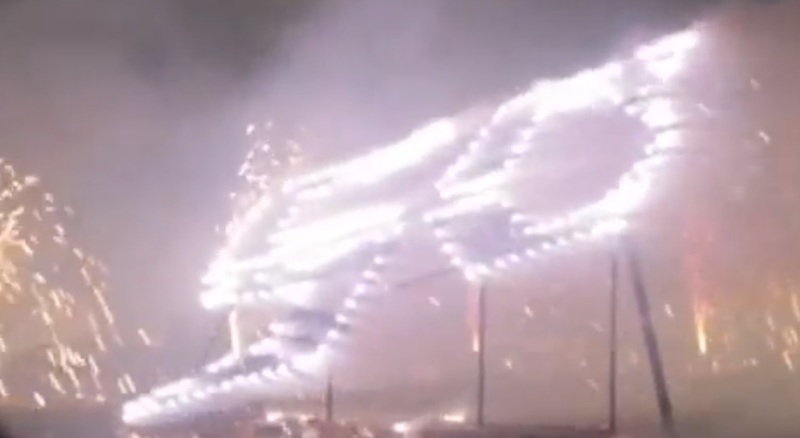 It’s a tribute for Lamborghini by Lamborghini itself. A toast to all their insanity, a treasure to look back and realise that there really is no other company that can possibly go this berserk. Almost 25 years back the Countach was a misfit in the automotive world but was one of the most influential cars that defined the wedge shaped design of the 70’s in the automotive world and LITERALLY set a trend. Here we are now 25 years later, with the Lamborghini Egoista, oblivious to the fact that it will continue setting the trend in terms of design language and technology for the next quarter of the century. You can choose to continue living your life and regard this as another impossible dream. A land that one can never reach. But if you really are the Lambophile that you claim to be, then understanding this entire situation from their perspective would really restore you’re faith in the Italian company. So if somebody tells you the Egoista is where Lamborghini really crossed the line between practicality and madness, then assure them that indeed it is a leper! An outcast! IT IS A CAR THAT OUR AUTOMOTIVE INDUSTRY DESERVES, BUT NOT THE ONE THAT NEEDS RIGHT NOW!